With the release of Ant-Man, Phase Two of the Marvel Cinematic Universe (MCU) films has concluded. Before Phase Three begins with Captain America: Civil War, now would be a good time to rank the twelve MCU films released so far. 1. The Avengers (2012) – As the culmination of years of careful seeding by previous MCU films The Avengers was a bold, energetic triumph. Director Joss Whedon accomplished the impossible by bringing together completely different characters and molding them into a superhero team just like in the comic books. As the most successful superhero film of all time, The Avengers excited numerous viewers and changed the landscape of superhero films. Before this film, the usual superhero films operated in their own realities without any indication of a rich universe as seen in comic books. But The Avengers embraced the richness of its comic book lore and it paid off. Now, shared cinematic universes are the rage. 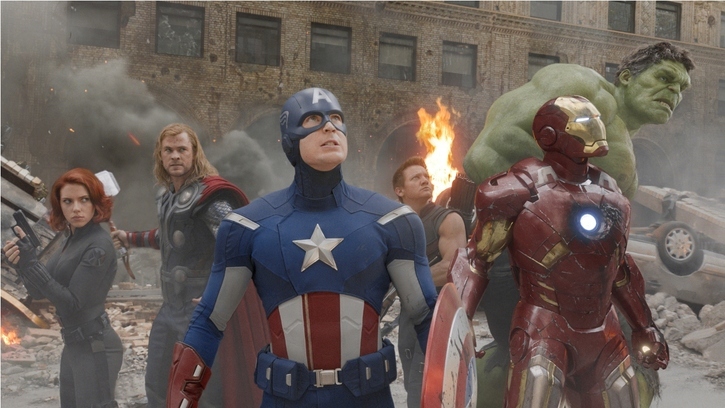 However, The Avengers is the best of the MCU films because it was so energetic, witty, and snappy, and had the novelty of our favorite heroes meeting for the first time. It all led to one of the most exciting finales presented on film that still reverberates with viewers. 2. 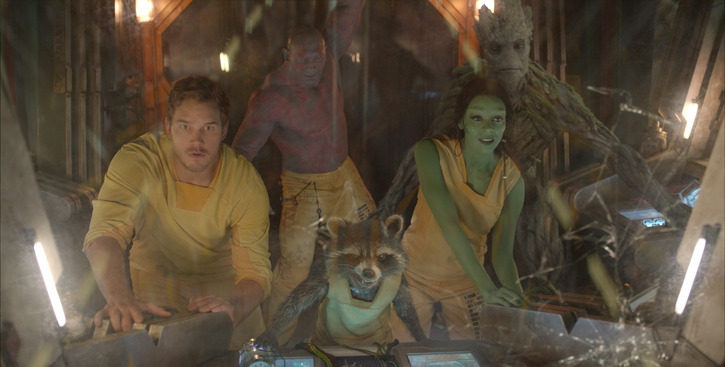 Guardians of the Galaxy (2014) – Marvel Studios showed they were willing to take a chance with this quirky and exciting space adventure yarn. Who would’ve imagined that a sci-fi movie about a bumbling space pirate, violent green aliens, a foul-mouthed raccoon and a walking tree would strike a chord with audiences? Technically, Guardians of the Galaxy isn’t a superhero film, but this demonstrates how this MCU entry is quite different from its standard superhero repertoire. What made it special wasn’t just the premise, beautiful visuals or production design, but a toe-tapping soundtrack that ingeniously used ’70s pop songs. It was a unique signature for this space opera tale about a group of space losers who banded together to save the galaxy. Chris Pratt became a star thanks to his silly, but good-hearted role as Star-Lord, the self-proclaimed legendary outlaw. 3. Captain America: The Winter Soldier (2014) – The best MCU solo superhero film and one of the greatest superhero films ever made. More importantly, this was arguably the most volatile entry in the MCU because by the time the film ended, the cinematic universe was forever changed by the film’s events. Chris Evans as Captain America/Steve Rogers has demonstrated how he has grown in stature in these films. As a man out of time, Steve Rogers faced his greatest threats from a former friend (one of the deadliest and most frightening supervillains on film) and a shocking global conspiracy that rocked the MCU to its roots. Adding to the film’s specialness were a tightly written script, well-executed and riveting fight scenes and terrific performances from the cast. 4. Ant-Man (2015) – The final Phase Two film is known for its numerous behind-the-scenes hurdles where the original director quit after having developed the film for years. Yet, in spite of that and the titular character’s obscurity, Ant-Man was an unexpectedly great superhero film that’s full of panache. As one of the more humorous MCU films, Ant-Man quickly won over viewers with its outlandish premise: a man who can shrink and communicate with ants. Wrapped around that was a swift-paced heist story that deftly integrated itself into the larger MCU in a natural way that eluded other films that attempted this. 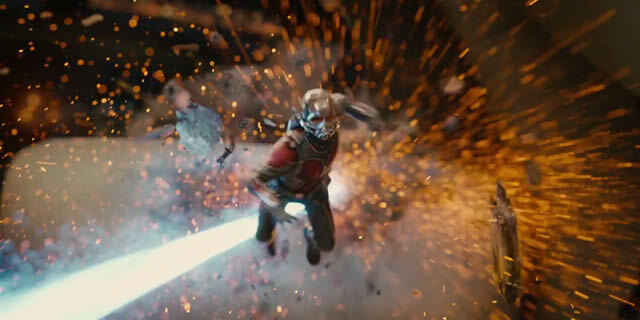 Adding to the film’s enjoyment were many winning performances, fantastic special effects and unlike other MCU films, Ant-Man was able to deliver an astonishing final act that helped pave the future for the MCU. 5. Thor (2011) – What sets Marvel Studios apart with their MCU films is its willingness to remain faithful to the comic book source material. At the same time, Marvel Studios has the ability to make organic changes and updates to its characters and situations. Thor is a perfect example. 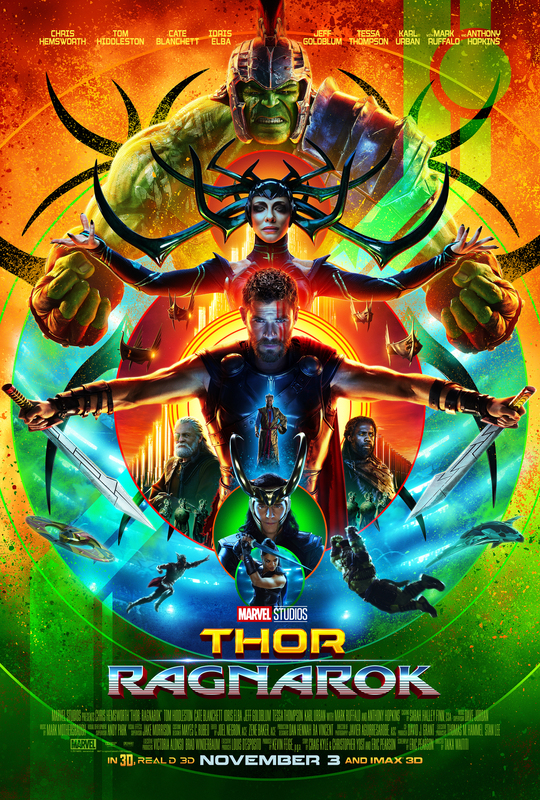 The film wisely eschewed its magic-based comic book roots that Thor and his ilk were actual gods and cleverly used science fiction tropes instead. Thor followed the winning formula of MCU films by having an egotistical, flawed character learn some humility and become a hero. Thanks to director Kenneth Branagh, Thor also had a sense of grandeur that evoked a Shakespearean family drama. In this case, that involved otherworldly aliens mistaken for gods. 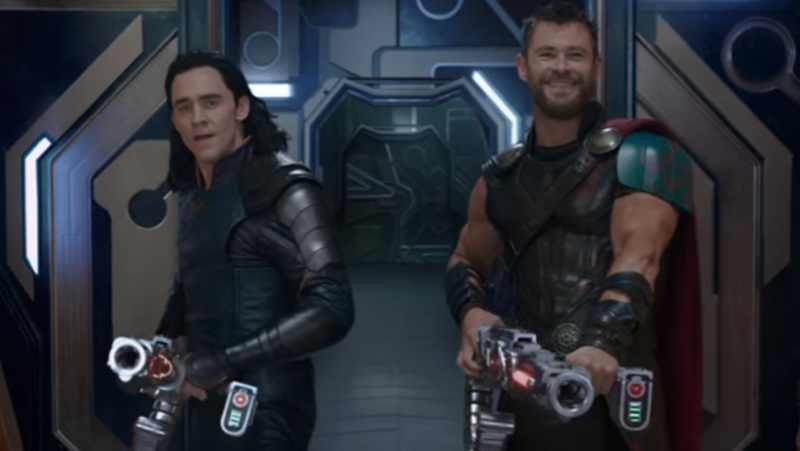 It was also noted for its humorous fish-out-of-water scenario and Tom Hiddleston’s star-making performance as Loki, the MCU’s best villain. 6. Iron Man (2008) – The one that started the MCU phenomenon still holds up as a well-made origin story. Robert Downey, Jr. shined as he made a personal and professional comeback in the role of a lifetime. His trend-setting Tony Stark/Iron Man was a self-centered narcissist who learned to become something more. Eye-popping. Action-drenched. Dazzling. LOUD. Explosive. Those are words that come to mind when thinking about Avengers: Age of Ultron. That is because this sequel to The Avengers is a true visual feast. That isn’t to say that Avengers: Age of Ultron tops the original, it doesn’t, but viewers will have an unforgettable time at the theaters watching it. Joss Whedon returns to the director’s chair with this sequel that reunites most of the original cast including Robert Downey, Jr. as Tony Stark/Iron Man, Chris Evans as Steve Rogers/Captain America, Chris Hemsworth as Thor, Mark Ruffalo as Bruce Banner/The Hulk, Jeremy Renner as Clint Barton/Hawkeye and Scarlett Johansson as Natasha Romanov/Black Widow. Like any worthwhile sequel, Avengers: Age of Ultron introduces new, exciting characters like Vision (Paul Bettany), Scarlet Witch (Elizabeth Olsen), Quicksilver (Aaron Taylor-Johnson) and the malevolent android Ultron (James Spader). After a kinetic opener where the Avengers take out an enemy base in Eastern Europe, they encounter two super-powered people who are antagonistic towards them. 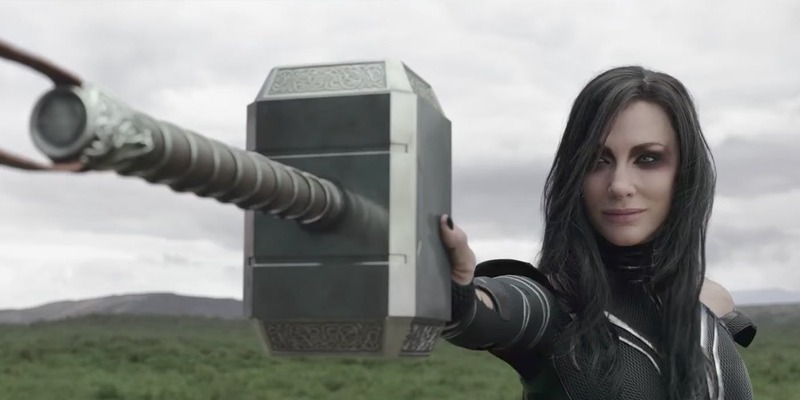 One of them, the Scarlet Witch, has mind-altering powers and influences Stark to retrieve Loki’s scepter from the base. In the last film, this weapon was wielded by Thor’s errant brother Loki and it’s powered by one of the immensely powerful Infinity Stones featured throughout the Marvel Cinematic Universe (MCU). 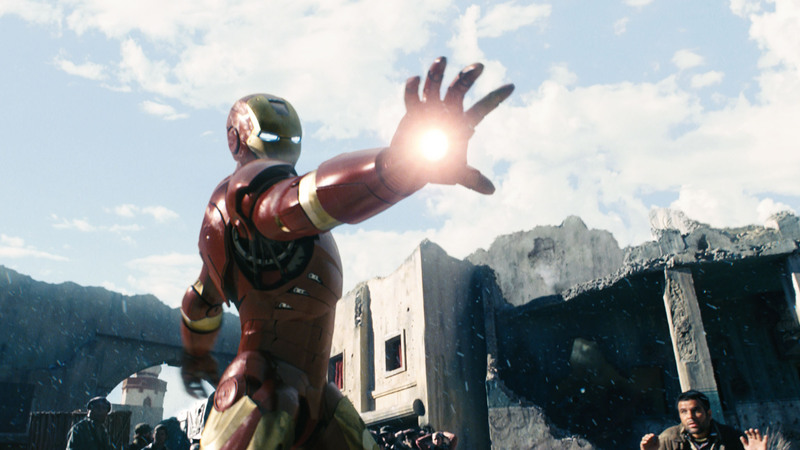 Back in New York, Stark and Banner decide to use the scepter’s power to help them create a genuine artificial intelligence. Their efforts fail, but once they leave the lab, the program becomes sentient and assumes the Ultron identity in a damaged Iron Man drone body. The problem is that Ultron’s programming of performing Stark’s directive of bringing about world peace has been corrupted. Now it wants to eliminate humanity. The AI goes viral and spans the world, perfecting its physical body and carrying out its planned extinction event as the Avengers struggle to catch up to Ultron and defeat it. As this plays out throughout the film, we see shifting alliances, inside looks of our heroes, and the emergence of new heroes. Avengers: Age of Ultron is a very busy film, sometimes too busy. There are so many plot points and character developments that things get lost in the shuffle at times. It rushes through plot developments that needed more nuance like the creation of Ultron. The moment it becomes self aware it is automatically evil. There are attempts to explain why Ultron wants to kill humanity but they’re hollow and don’t resonate. Another example are the development of Quicksilver and Scarlet Witch. Too much exposition explains their background and their evolution feels rushed. Then there are moments when the film is about to go off the rails with its nods to the larger MCU and in setting up other films. Sometimes it feels organic, like Stark and Rogers’ growing antagonism towards each other, which will culminate in next year’s Captain America: Civil War. Other times they feel tacked on and clumsily shoved in like Thor worrying about his own dilemmas that will be concluded in his next film. These diversions while interesting don’t allow this film to stand on its own because this film shines when it’s concentrating on its own merits. With all this going on, things get lost in the shuffle and aren’t dwelled upon. The film struggles to juggle all these new characters and servicing the old ones. 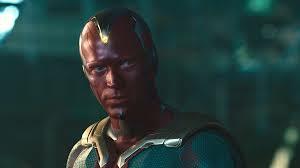 It is too bad more time wasn’t spent on the Vision, the best new character thanks to Bettany’s sympathetic performance. However, some much needed time is devoted to Avengers who didn’t have much screen presence the last time around. This applies to Barton as we find out that he actually has a wife and family and this revelation makes him much more endearing to us as the point is driven home that he is the most vulnerable Avenger. Also, it was interesting to see that Captain America has by now emerged as the true leader of the team and has more of a screen presence than Iron Man. 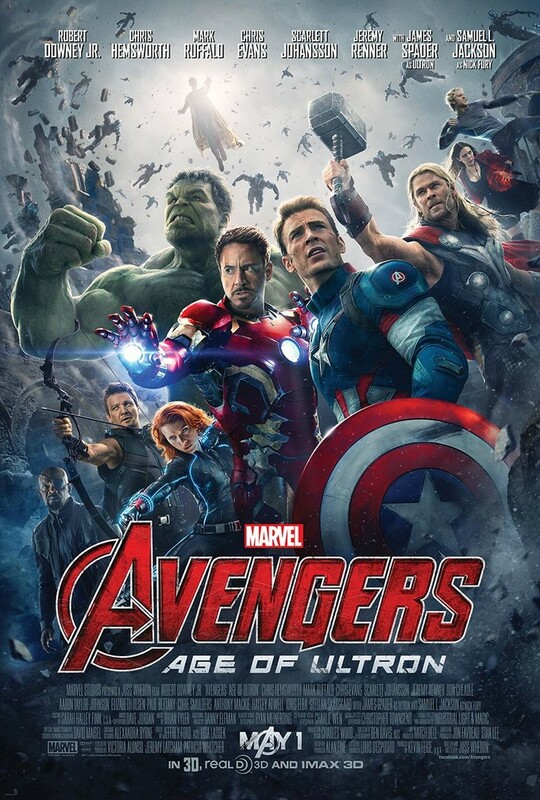 As action-packed and fast moving as it is, Avengers: Age of Ultron lacks the original’s oomph and sense of wow. The novelty of seeing our favorite superheroes coming together isn’t there obviously, but it does its best to carry on. Usually it succeeds in dazzling the audience but it gets bogged down with its flaws. Putting that aside, Avengers: Age of Ultron is very exciting and worth watching in theaters. 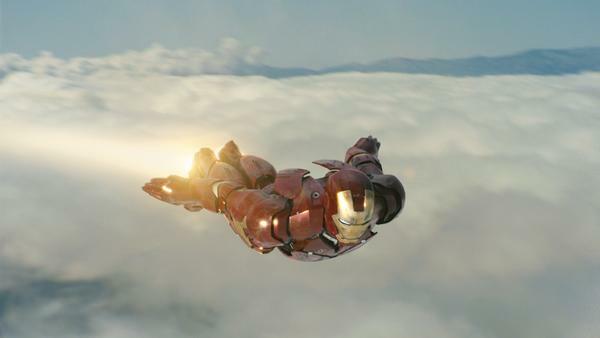 Many of the special effects and action scenes are inspired and breathtaking like the part where Iron Man battles the Hulk in Africa or when Captain America and Black Widow confront Ultron and his drones in South Korea. It’s commendable that this isn’t just your typical empty summer film. It has heart and character thanks to topnotch acting. Joss Whedon knows how to raise the stakes for our characters in the final arc where Ultron finalizes his machinations and there’s a feeling of desperation and fatality among the Avengers. We care about these characters and by the end of the film the status quo has been upset and that’s a good thing. 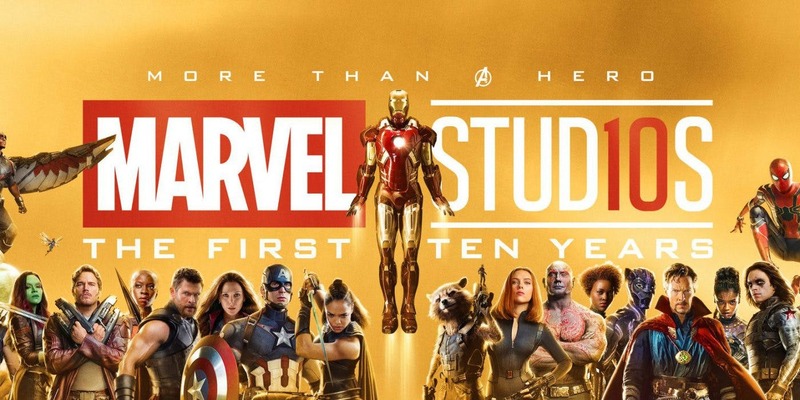 Like the comic book this film is based upon, things are always evolving with the Avengers, which will make things feel fresh in upcoming films. Despite its faults Avengers: Age of Ultron is a fitting and exuberant conclusion to Phase Two of the MCU and sets up the next chapter in the growing MCU. There were many outstanding films and TV shows, etc. in 2012 and many letdowns. Here are our rankings for the best in sci-fi, fantasy and horror in 2012. Fringe, now in its final season, the show left its X-Files trappings of government agents investigating unusual phenomenon and radically changed the show’s concept. The main characters wind up decades into the future and have become freedom fighters against the oppressive Observers, post-humans from the distant future who traveled back in time and conquered the world. It’s still head-spinning fun but the new unexpected plot development refreshed the show as Fringe marches towards its conclusion. Battlestar Galactica: Blood & Chrome, shame on Syfy for not greenlighting this as a regular series. The network took the pilot and cut it up into ten minute segments that appeared online, making it a web show. It was exciting with terrific f/x and production values, plus engaging characters. It was a perfect companion piece and prequel to Battlestar Galactica. Star Wars: The Clone Wars, Darth Maul finally came back from the dead! Until Episode VII comes along this well-produced animated series is the perfect tonic for Star Wars fans waiting for the next big-screen installment. The Walking Dead, the tension and developments kept viewers on edge as the characters’ plight in a post-apocalyptic, zombie-infested world went from bad to worse. People unexpectedly died, the gore quotient was high and gross and the stories were some of the most riveting shown on TV. The Walking Dead only loosely followed the comic book it’s based on, which allowed it to take different paths, introduce new characters and kept fans guessing. Game of Thrones, two things made this fantasy show based on George R. R. Martin’s books noteworthy for viewers: Tyrion Lannister (Peter Dinklage), who despite his size manages to hold his kingdom together, and snow zombies a.k.a. the White Walkers and wights. Dark Matters: Twisted But True, John Noble (from Fringe) hosts this interesting and sometimes macabre look at some of the weirdest and most disturbing science experiments and discoveries throughout history. Last Resort, admittedly the show was borderline sci-fi (a nuclear sub with stealth capabilities, hints that it takes place in the very near future with nuclear warfare and $8 dollar a gallon gas prices), but this military drama about a renegade nuclear sub crew who commandeer an island retreat was suspenseful, gripping and entertaining. Too bad it didn’t catch on. Rick Grimes (Andrew Lincoln) in The Walking Dead, kudos have to go to Lincoln for his near-perfect characterization of a former deputy sheriff who struggles to keep his band of survivors alive in a world full of flesh-eating ghouls. Despite his best efforts, people die and he’s forced to become more and more ruthless to survive. Etta Bishop (Georgina Haig) in Fringe, she only appeared for a few episodes but Peter Bishop and Olivia Dunham’s grown up daughter while sweet and endearing to loved ones was surprisingly brutal against the Observers and their human allies. Her death was a sudden shock that nearly unhinged her parents in their struggle to defeat the Observers. Daryl Dixon (Norman Reedus) in The Walking Dead, at first he was a non-descript redneck but Daryl has shown an inner toughness and tenderness that was astonishing to watch. Usually quiet, Daryl has emerged as Rick’s most dependable ally and right-hand man, and is quite adept at surviving and killing zombies. Being Human, this American/Canadian adaptation of the hit U.K. show wisely took the characters and situations of the original and spun itself off into different and unpredictable directions. At the same time, Being Human in its second season quickly developed an engrossing mythology as its non-human characters struggled to regain their humanity. The River, this uneven supernatural series ended with the main characters managing to find the TV show host that they were all searching for in the Amazon since the show began. But the evil spirits that plagued them keep them trapped in the mysterious waterways. Not a bad way to end a horror show. Alcatraz, the producers of this low-rated show decides to end its first and only season with a cliffhanger that kills off the main character and leaves its core mystery unsolved! Way to go fellas! John Carter, Disney should fire any marketing exec involved with this exciting, fun and action-packed thrill ride. Director Andrew Stanton skillfully presented a grand swashbuckling yarn about the very first space hero whose adventures predated all the familiar space operas and originated the sub genre. John Carter featured a rugged hero, a tough and beautiful damsel in distress, weird aliens, and fantastic f/x and production values. The Cabin In The Woods, it wasn’t the scariest horror film but it was the most original and fun. It took the concept of isolated young people terrorized by savage killers and went off in a unique and imaginative tangent. The way the entire premise switches midway in the film made it very memorable. BTW, we would’ve picked the merman premise too. The Hobbit: An Unexpected Journey, true, it’s too long and not as good as The Lord Of The Rings trilogy, but thanks to Peter Jackson’s direction it’s still a grand adventure with dazzling effects, a rich environment (made more real thanks to its 48 fps film), characters and a welcome return to Middle Earth. Better yet, more Gollum and Gandalf! Rise of the Guardians, one of the most underrated animated films in recent memory features stupendous animation and at its core a hero (Jack Frost voiced by Chris Pine) with a surprising amount of depth and heart. It’s also a vibrant celebration of childhood and all of its innocent wonder, imagination and faith. Marvel’s The Avengers, it’s not like Ghost Rider: Spirit Of Vengeance had a chance! Director Joss Whedon hit this one out of the planet in a true epic that saw several of Marvel Comics’ popular superheroes teaming up in an eye-popping spectacular. Fans rejoiced in seeing the momentous occasion that was like seeing a superhero version of an all-star game. 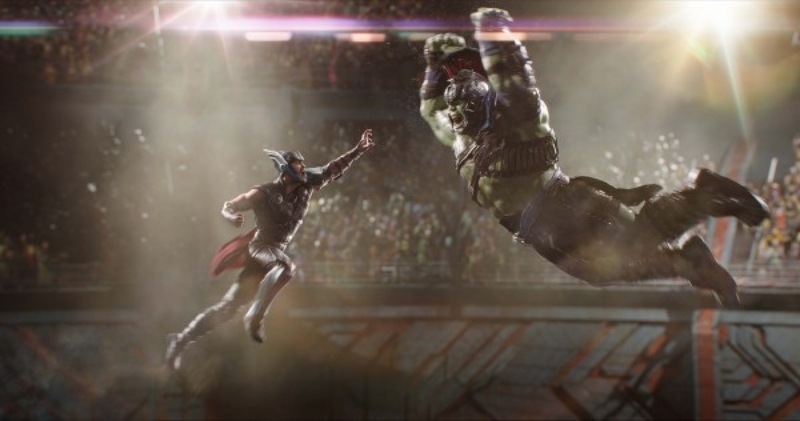 The Hulk in Marvel’s The Avengers, finally a film captured the essence of the Hulk at his smashing best. The green behemoth stole the show as he pummeled Loki and his alien forces. So how about a proper film for the Hulk now? Andrew Detmer (Dane DeHaan) in Chronicle, DeHaan gives a great performance as a picked-upon high school loner who gets superpowers one day and basically doesn’t do anything with them. Instead of becoming a hero, Andrew slowly and disturbingly becoame more and more malevolent as Chronicle came to its terrifying conclusion. Prometheus, wow was this a huge letdown. A poorly written mess where characters behave illogically and plot points appear and disappear at a moment’s notice. Ridley Scott and wiz bang f/x couldn’t salvage this disappointing Alien prequel. Note to Scott: forget about those Prometheus and Blade Runner sequel ideas. Looper, let’s see gangsters in the future only use time travel to get rid of bodies? Immoral types wouldn’t want to get rich or muck with timelines? What’s with the out-of-left-field plot development about the telekinetic mutants and a kid that belongs in an Omen movie? The unlikeable characters didn’t help matters with this unsatisfying time travel film. The Hobbit: An Unexpected Journey, thanks in part to it being filmed in an immersive 48 fps, the 3D erases the barrier between the film and the audience. Star Trek Into Darkness, while the trailer for J.J. Abrams’ first Star Trek film was more exhilarating this trailer promises excitement and vengeance-fueled destruction as seen in Star Trek II: The Wrath Of Khan, the Star Trek film that all the others in the franchise try to emulate. Angry Birds Star Wars, it’s the best mashup since peanut butter met chocolate! Mass Effect 3, despite all the groans about its ending, the game featured stunning graphics, addictive game play and a solid storyline. TIE: the time-traveling DeLorean car from Back To The Future and the Stay Puff Marshmallow Man from Ghostbusters. ’80s genre nostalgia lives on with these accurate and detailed ornaments. The black, Avengers-themed monorail at Walt Disney World. It’s visually arresting with the movie heroes and logo boldly displayed on the sleek mode of transit seen around the Magic Kingdom in Florida. It continues to wow tourists. Disney buys Lucasfilm and thus the Star Wars and Indiana Jones franchises. Not since Disney purchased Marvel Comics has there been such a cataclysmic happening in the world of fandom. Many had conflicted thoughts about seeing George Lucas stepping down and handing control of his beloved franchises to the Disney juggernaut. Feelings were also mixed but guardedly excited over the announcement of new Star Wars films on the horizon.